In this era of pain, suffering, physical, and material destruction, words like: genocide, torture, imprisonment, mass murder, mass massacre and “exilement of millions,” are loosely thrown around, not receiving the serious attention they deserve, remaining unacknowledged by those who want to suppress the oppressed people’s struggle for freedom, peace, and human dignity. It is always important to bear in mind that the occupied and repressed people are not here for perceived ideas or temporary economic or material gains. Rather, they are fighting for a fundamental national freedom- for independence, democracy, and human dignity that guarantees their future existence and progress. For these reasons, people who have fallen under colonial occupation or slavery will fight against any colonial hegemony. The Oromo people are no exception. They have been experiencing state terrorism, violent atrocities, humiliation, physical injuries, and loss of wealth under the successive Abyssinian (Ethiopian) colonial regimes. 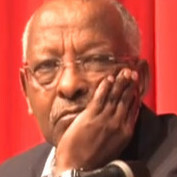 Since the late 19th century, Oromos have been locked in a continuous and bitter fight against the Abyssinian colonial aggressors intending to occupy the Oromo land to brutally suppress, exploit and dispose of its people indefinitely. However, the Abyssinian colonialists, in an effort to stifle the Oromo national freedom struggle, have never succeeded to fulfill their colonial ambitions: total control of the Oromo nation and the destruction of its culture, history, and Gadaa democratic system. The struggle is gaining momentum due to the past and present generations of Oromo people’s determination and willingness to sacrifice for freedom, peace, social progress, and the dignity of the Oromo nation. From the time of emperor Menelik II’s barbaric occupation of Oromo land, our people have been fighting invaders, armed with their history of bravery, dignity, and most importantly, with the firm belief in human freedom and independence. The ongoing genocide wars in Oromiyaa were designed to erase the Oromo nation from existence and to deny the Oromo people their survival, both as a people and a nation, setting them up for the eventual elimination from society. After becoming heir to the Abyssinian empire and supported by the United States, the Tigre People’s Liberation Front (TPLF), a tiny minority from the North core of Abyssinia, began to strategize on how to occupy the vast empire it inherited, Oromiyaa in particular, to fulfill its occupation program. The primary strategy to occupy Oromo land and the entire empire was to organize internal collaborators, the Peoples Demoratic Organization’s (PDO’s). Foreign governments of the West were called upon for support; incitements of animosity by the ethnic group from the regions surrounding Oromiyaa borders were made, and invitations to multi-national corporations were sent to back up the occupation plan. Inherently, Abyssinian colonialism was genocidal, very destructive, extremely humiliating, extremely exploitative, and was carried out by wanton killers that perpetually used the most repressive system against their victims, of which the Oromos were the main target. However, the TPLF, surpassing their predecessors’ familiar colonial agenda, came up with a more cruel and lethal open attack to eradicate the Oromo people. To carry out a new form of bloody oppression, reckless destruction has brought an inconceivable amount of death throughout Oromiyaa and beyond, putting our people under a veritable state of siege. The main objective of the TPLF genocide was to take over the Oromo land, as well as the Amhara from the North, and the Southern nations of Sidama, Hadiyaa, Konso, Anuak, and Omo Valley; and deprive the people of these nations the ownership of their land and its resources. When people talk about a land or a country, we must understand that we are talking about a human life in a society or the lives in a particular nation. Land is the source of life and nourishment for human beings and all that exists within nature. Land is also a source of war for the obvious reasons – for the victimized people the need to live in freedom and to continue to exist as people of a nation, and therefore obliged to defend their nation from foreign aggression. For the aggressors, it is to dominate their subjects by force, suppress, and exploit their victims. The Berlin Conference of November 1884 and February 1885 marked the beginning of colonial wars in Africa, under which blood was shed, subjugations and genocide was carried out, physical assaults were made, raw materials pillaged, destroying the culture and land throughout much of the African continent. The subsequent wars in Asia, Latin America, India, Middle East, West Indies (Caribbean), and the Korean peninsula were to colonize the powerless nations, then to destroy the socio-economic and cultural foundations of the occupied people by military and political means. In short, land and its products are and were the most crucial and strategic commodities in the battle between the occupying forces and people struggling for freedom. It was under the orchestrated guise of development that the apartheid racist regime of Meles Zenawi began to speed up the process of extermination and ethnic cleansing that was designed to exterminate Oromos and take full control of Oromiyaa. For the Oromo people, nothing is more important than standing up and defending the motherland – their cultural heritage, historical treasures and dignity, in order to remain existing as a people and nation. The history of the Oromo people’s struggle against the colonialist Abyssinians has been written with the blood and on the backbone of the enumerable lives of the heroes at various battlefields and liberation war fronts in Oromiyaa forests, valleys, and mountains from Annolee to Ambo. 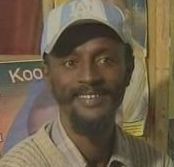 It is an irrefutable fact that Oromiyaa has always been defended by its legendary traditional leaders, historic warriors, heroic national figures, liberation fighters and dedicated nationals such as: Abishee Garbaa, General Waaqqo Gutuu, Garasuu Dhukki, General Tadasaa Biruu, Kolonnell Alamuu Qixeesaa, Elemoo Qilxuu, Baroo Tumsaa, Hailamariam Gammada, Tesemma Nageri, Maqensaa Barri, Gudinaa Tumsaa, Mitiku Waaqqo, Mammo Mazamir, Jara Abaa Gadaa, and Ahmed Bunaa (Goota Bobaas) to mention a few. They made the ultimate sacrifice, like millions of other Oromo martyrs who laid down their lives for the liberation of their nation and people, in hopes that their bloodshed inspires their descendants and current Oromo generation to keep the freedom struggle going until the objective has been reached. The TPLF/Abyssinians, which have always had an insatiable appetite for Oromo land, blood, and its wealth has sought not only to steal their land and its byproducts, but also to wantonly and systematically obliterate the physical, economic, and cultural base of the Oromo population. There is no historical, cultural, or social justification for the Tigre elites (Abyssinians) to take over Oromo lands, to take everything the Oromos have, and exert their fascist rule over the Oromo nation. History teaches us that in the case of colonial conquest, the consequences of surrendering a territory of to invading forces has a detrimental impact on the future of the occupied people, leading to the possibility of being erased from the face of the Earth, as it has happened to many nations before. When Meles Zenawi declared to eradicate the Oromo people from their country, Oromiyaa, the fascist tyrant not only planned to reduce the Oromo population in number and Oromiyaa in size but to destroy the people and the nation, once and for all. Colonialism or imperialism is a cancer of human progress, freedom, socio-economic development, independence, and dignity, that must be removed from the nation before it consumes more victims. As history has shown, occupying forces cannot subdue any nation, regardless of their military might or economic power, without the collaboration of internal traitors to support and guide them. In order to bring about the occupation of the Oromo nation, Oromiyaa, the Abyssinian colonialists from Emperor Menelik to TPLF effectively utilized traitorous Oromos and collaborators. 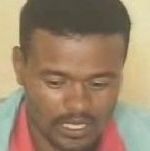 To wage the war of extermination against the Oromo people, the TPLF used the Oromo Peoples Democratic Organization (OPDO), which were taken as prisoners of war during the Eritrean Liberation War. In order for the plan to succeed, the TPLF had to undermine the Oromo Liberation Front (OLF) with the aim to make the Oromo people leaderless and curtail the emergence of a free and independent anti-colonial nation, and ultimately gain easy access deep into the heart of Oromiyaa. 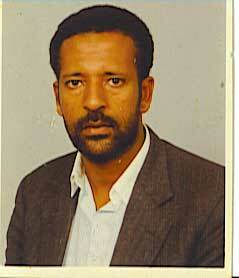 Had it not been for the collaborator’s support, the TPLF would not have survived one month in that country. Oromo youth and patriotic nationalists are now part and parcel of the ongoing bitter freedom struggle. It is now obvious that the OPDO, who placed themselves at the service of the fascist TPLF, are currently facing scrutiny and an agonizing dilemma: they are situated between two ntagonistic forces, that of the venomous dying tyrants, TPLF, trying to strike, and that of the Oromo masses who have an inalienable right to fight for their freedom. And to the OPDO, who shouldn’t have to be servile for the TPLF in their own country, it’s time for them to join the masses and stand firm for the Oromo cause instead of attempting to save the genocide regime – any attempt to preserve the dying TPLF is doomed to fail. The horrific cold-blooded massacre of Oromo students in Ambo on April 14, 2014 aroused anger and outrage across the entire Oromo society that galvanized Oromo to protest and demonstrate throughout Oromiyaa. In a short time, the condition in Oromiyaa became ripe for the mass uprising as nation-wide protests and civil disobedience engulfed all corners of Oromiyaa. The youth, conscious nationalists, and all communities fearlessly continued protesting against the fascist regime’s brutal oppression, massacres, senseless killings, imprisonments, torture, and humiliation, obliging the Oromo people to finally decide that they’d had enough. To fight was the only means to stop the carnage and free themselves from genocidal occupation. 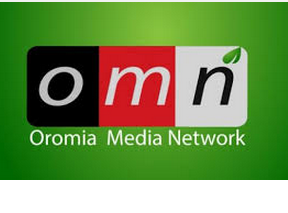 That decision spawned the completely new direction of the ongoing national struggle, out of which the current Oromo revolution was born of Gincii, in Central Oromiyaa on November 12, 2015. On this historic day, the fascist regime dispatched its notorious security forces with an order to evict the Gincii community living in the surrounding town and that the Cileemmo forest was to be cleared. It was sold to foreign “investors” which in reality was a colonial occupation. Upon their arrival, the land robbers were met with stubborn resistance from the local community and protesting students who decided to fight and were able to ward off the invaders, but at a great cost. During the incident, two students were killed heroically defending Oromo land and many sustained injuries at the hands of the Agazi murder squad. The courage, determination, and the successful uprising of Oromos in Gincii has made Gincii, the epicenter of the Oromo revolution. This is a place where the fire of the revolution was ignited but the war between the TPLF and the Oromo people continues to ferociously burn to this very day. From the start, it has been a mass revolution in which the entire Oromo population has risen up from corner to corner with a sustained unity against the genocide wars perpetuated by TPLF, making it irreversible. As a result, today, our people wherever they are, increasingly cementing their national unity, share a common ideal and are working hard for the liberation of their nation. The historic role played by the brave, courageous, and determined Oromo youth, patriotic nationalists, and conscious public figures will remain as pillars of the revolution in the national liberation struggle ahead. They ignited the flame of the fight for freedom through which the people who are suffering under the most barbaric and genocidal regime are able to see the benefit in aligning ideals with action. Indeed, it is awakening courage and determination to fight against the fascist TPLF regime. The essence of Oromo struggle for national freedom is not only to serve their own struggle; it also serves the fundamental interests of all people within the Ethiopian empire. For the last three years of the revolutionary struggle, the Oromo people, the youth in particular, through their extraordinary courage, determination, disciplined actions and sacrifices have uplifted the Oromo freedom struggle, helping to garner global recognition to the just Oromo cause. More importantly, The Oromo Revolution has inspired all occupied and oppressed nations and people throughout the world as a courageous and brilliant example to stand up against the well-armed fascist regime. It is evident that the growing freedom struggle in the empire is now strongly pushing towards the inevitable demise of the fascist regime despite their deadly crack down and massacres. Today, the overwhelming majority of the people in that empire are aspiring towards freedom, peace, and democracy and are now in cooperation, sharing a common ideal for which they all fight. The Qubee Generation (youth) opened an era of brilliant development for freedom struggle. If the survival of the people of a nation is sought, the unity of the people suffering under the TPLF cruel and deadly extermination policy is very important. Right now, the TPLF is busy conducting genocide wars in Oromiyaa, Amhara, Sidamma, Hadiyaa, Afar, Konsso, Annuak, and Omo Valley, intensifying its projects of mass massacres, wanton killings, torture, and removing tens of millions of people from their ancestral lands, the biggest acts of genocide and ethnic cleansing the world has ever seen. Unity and cooperation of the entire people of the region who suffered and are suffering in a war against its occupiers is the only way to overcome. It requires strengthening trust, understanding, and solidarity exchanges such as the current Oromo and Amhara people to people discussions in order to challenge the common enemy they are facing while combating the vicious divide and conquer tactics of the fascist regime. There has never been any historical evidence of colonial or fascists changing or reforming their behaviors and willingly surrendering their colonial rule to their victimized subjects. Therefore, expecting unrealistic outcomes from the fascist regime is foolish. It is also naïve to sit around and wait for the Allied forces that were able to stop Hitler’s genocide wars, because freedom and the rights of the people in Ethiopia have been compromised by global powers in exchange for the use of TPLF in the Horn of Africa to fight proxy wars. The TPLF managed to wage genocidal wars in Ethiopia because of its global partners’ unwavering support and the internal economic and security interests. Whether they like it or not, the people in the region are on their own to fight the regime and to put a stop to the continuing genocide, massacres, carnage, tortures, humiliation, and outright atrocities. It is essential that we stop fooling ourselves and be realistic about a future that benefits all the people of the region. As a result of the tenacious liberation struggle of the Oromo people against the Abyssinian colonial regime, the forces occupying Oromiyaa are now realizing that the Oromo people’s fight for freedom and independence is not as easily extinguishable as they perceived it to be. So, it is no longer a surprise to the TPLF, who embarked on a genocide warfare of the ethnic cleansing in Oromiyaa, to see the level of the Oromo people’s determination and resilience to the occupations, and defense of their dignity and nation. 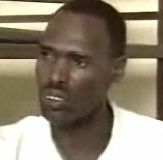 2) agitated, organized, and ordered its special militia forces, Agazi murder squad from the Beneshangual Gumuz ethnic group, sadistically murdering many Oromos while many were severely wounded as some of them suffered mutilations of the arms and legs and dismemberment on May 17, 2008, a calculated war or ethnic cleansing; 3) committed a horrific massacre on Ambo students in which seventy-four precious and irreplaceable young lives have been slaughtered at the hands of the merciless fascist apartheid regime on Aril 14, 2014; 4) crafted a master genocide plan to eliminate Oromos from Finfinne and from its surrounding with the aim to take-over the central core of Oromiyaa and to erase the existence of Oromo people; 5) declared an all-out war on the Oromo nation in December 2016, instructing to “smash the [Oromos] once and for all (Bamayadagim huneta)” ordering to use all available lethal military machines, federal army, Agazi, and federal police force, thereafter putting Oromiyaa under siege, subsequently imposing martial law. The increase of mass massacres, mass torture, wanton crack-downs, incarcerations, and sending thousands into exile are continued at the highest speed; 6) on October 2, 2016, committed wholesale slaughter of over 800 Oromos at Bishoftu Irrechaa annual Thanksgiving celebration, where well over three million Oromos were gathered to celebrate their holiday. It was the most gruesome cold-blooded massacre of innocent and peaceful people. The TPLF deliberately planned ahead time to get rid of Oromo people by sending to this peaceful people’s celebration, its army, helicopter-gunship, toxic loaded tear-gas, sniper shooter, and security forces to wipe out the people. To some extent they were successful. At the Bishoftu Irrechaa massacre, the victims ranged from very old men to young women and right down to under-aged children were included, one of the most comprehensive genocidal murders in history. 7) TPLF is perpetrating an invasion of Oromiyaa by deploying its federal army, the Agazi, along with its well-armed special police force from Somali regional state, to wage a calculated war of eradication against Oromo people. It is now three months, since the coordinated TPLF army invaded the Eastern and Southeastern Oromiyaa bordering Somali regional state in the name of border conflict between Oromiyaa and Somali regional states. In this full-fledged war, over 80,000 Oromos have been expelled from Somali regional state, their homes were burned down, properties were totally confiscated, many people were murdered in a gruesome manner, and the war is still ravaging the whole region. 8) TPLF committed a wanton and savage massacre of Sidamma people at Louqee on May 24, 2002 in which the entire Louqee village was razed, many men, women, and children were murdered in a mass uprooting and ethnic cleansing happened to the Sidamma nation. Like Oromiyaa, the Sidamma is rich in everything necessary for a society, so, the TPLF embarked on Sidamma to ethnically uproot them just to takeover their land with the aim to replace them by Tigrayans. For example, Hawasaa, the capital city of Sidamma nation is now virtually taken over by the Abyssinians. 9) TPLF committed a horrific crime against humanity that the fascist Meles Zenawi’s regime mercilessly massacred the Anuak people by direct participation of its army, police, and the Agazi forces in order to vacate their land and to make it available for mineral farm industry. The Anuaks people have suffered and are suffering greatly from the displacement and loss of lives. 10) Who terrorized, brutally victimized and tortured the entire Oromo population; 11) who robbed our children’s future, imposed on our people a genocide war, exposed the Oromo people to disease and starvation, forcibly sterilized Oromo women in its genocide and ethnic cleansing programs. These are just a few undeniable and widely reported genocide actions committed by the TPLF that stand for hundreds and thousands of massacres in Oromiyaa and in other places in the empire. As we have learned from history, people who have been subjected to colonial occupation were only able to gain their freedom through paying necessary sacrifices and armed resistance. The Oromo people should not forget that Abyssinian colonialism was introduced and built in Oromiyaa through armed forces. Therefore, in the Oromo case, its boils down to taking up arms and fighting. Today, the TPLF has a complete monopoly of the Ethiopian economy, controlling all the resources of the empire- more wealth than they ever dreamed of in all of Tigrayan history. The TPLF controls the highest percentage of Oromiyaa’s resources in the name of a fake federation, which it uses to finance its killing machines and also helps them to perpetrate genocide wars against our people. For any society, resources are the source of human survival and the basis of social, economic, and human progress. For so long, the wealth of the Oromo nation have been subjected to alien control and plunder, depriving the Oromo people the benefit and well-being of their material and natural resources. A statistical survey shows that at least 68% of the Ethiopian empire’s GNP comes from Oromiyaa. 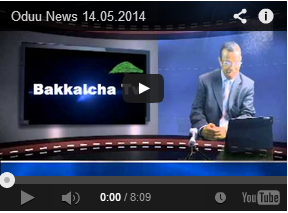 It is time to put an end to the TPLF regime’s plunder and pillage of Oromiyaa’s wealth. That means, elimination of all colonial relationships existing between occupying forces and its foreign supporters who are also part and parcel of colonial occupation. Therefore, it is the duty and obligation of all Oromos to make their endeavors to return Oromo land, resources, and national treasure under the control of Oromo people by taking necessary steps to halt the extractions and strategic transfer of resources and raw materials. The ongoing takeover of the Oromo people’s land via so called sale or lease to foreign governments and corporations as well as to Tigray entities, clearly shows that the TPLF is giving them the license to limitlessly plunder, pillage, and extract Oromiyaa’s resources at the expense of misery and destruction of Oromo society. Global powers have always used minority totalitarian regimes as tools to serve their own political, economic, and security interests for dominance and exploitation of people’s resources. These colonial ventures are in full effect in Oromiyaa as the TPLF has now left wide-open the land to unlimited exploitation and plunder. The huge industries, mineral exploitation sites, and the hazard-laden factories are all exploiting the resources of our land while destroying our wealth and people. The deadly hazardous, toxic materials the Netherlands (Dutch) company is using to grow flowers and the leather factory owned by Nigerian Tycoon Dan Gote, and other similar hazardous chemical users are additional ways that open attacks on our people must be removed immediately from Oromo land. We must demand compensation for the damage they caused to the nation and people. This is a danger to our people’s health, economy, and environment which needs serious attention before it’s too late. The recent mega gold mine exploration license awarded to a British Company in Kappi Mountains (Ganjii), Western Oromiyaa is another example of a dangerous and hazardous project which negatively impacts the society, economy, and environment. As a result of this illegal and unethical exploration project, which is taking place without the knowledge and consent of the people, hundreds and thousands of Oromos are being evicted from their rightful lands in the Guracho community. The whole community is now in danger of losing their livelihoods and are at risk of developing debilitating illnesses as they face relocation to make-shift “concentration camps” in neighboring forests. Our people continue to resist this forced and illegal relocation but orders to evict them remain in effect. To the Oromo people who have been defending and still defend the motherland, this neo-colonialism is not acceptable and must be stopped. The most important thing people under colonial occupation should consider is to be honest with themselves about their common objective as a people and to develop a united national strategy for effective resistance against any occupying force and internal collaborators (through which they can only endure and prevail). Today, the fascist genocide Tigray People’s Liberation Front continued conducting genocidal wars in Oromiyaa, Amhara, Sidamma, Hadiyya, Afar, the Ogaden, Konsso, Anuak, and in the Ommo Valley accelerating its projects of mass massacres, mass murders, torture, incarceration, and tens of millions of mass removals from their ancestral lands. They constitute the biggest acts of genocide and ethnic cleansing that have ever happened in the region. Now, as the freedom struggle is approaching to eliminate the fascist occupiers from Oromiyaa and in other occupied lands is getting closer and closer, the enemies are rattling to strike back on the struggling people in an effort to turn our people’s victories into surrender. As a last resort, it is now using brute force, deception, political maneuvers, petty tactics, and intrigues to lure the people into submission. But, the TPLF must understand that people who struggle for freedom, national rights, and human dignity cannot be reversed with military might, political maneuvers, deceptions, or martial law. Our fallen heroes and heroines have set the objective of the nation that the patriotic Qubee Generation are not only embracing, but have taken over with the determination to fulfill. For the past three years, the heroic Oromo youth and patriotic nationalists have recorded many historic and irreversible victories at high prices in order to bring about total victory of their nation. In a very crucial war-time, the British leader, Winston Churchill warned his army and the British people saying assertively, “Without victory there is no survival.” The time, place, and the size of the population could be different, but the nature of the enemy, the methods and objective of the war he was facing then and the one the Oromo people are facing today are more or less, the same. In both cases it is a war of extermination and genocide by the Nazis of Germany yesteryear and the fascist TPLF of today in the empire state of Ethiopia. For the Oromo, as one of the most threatened societies on Earth in recent years, stiff resistance is not only an available option, but must be done at all costs. In a declared war, a half step move is dangerous to the freedom struggle, because it will take everything to win the war. Only the organized, conscious, and united people can stand up to the fascist occupying forces. Unity is power! Victory to the oppressed people! Previous Wayyaanee; Murna Kan Jettuu fi Kan Hojjettu Tokko Ta’ee Hin Beekne!